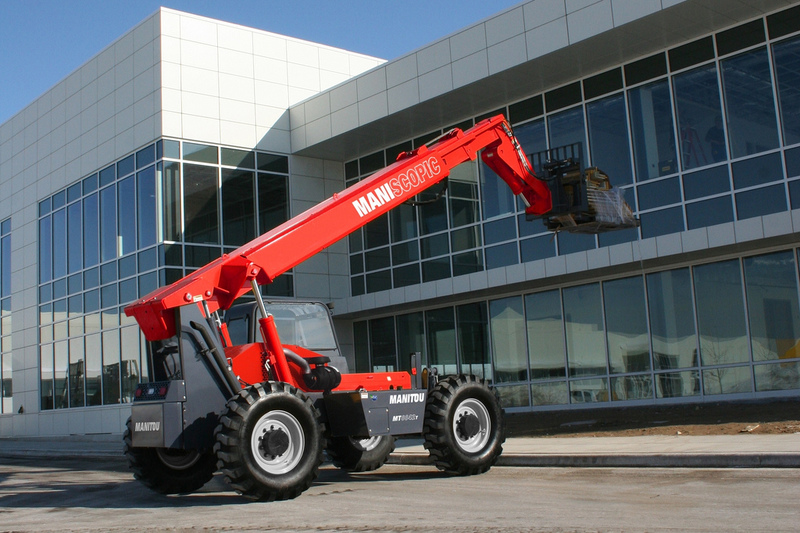 Manitou have introduced a new range of telehandlers. The MTA Easy74 products have been designed specifically for the North American rental market and the lineup includes three 74-hp models: the MTA 6642 Easy74, MTA 8044 Easy74 and MTA 10055 Easy74. Developed from the MTA Series III telescopic handlers, the new Easy74 machines are powered with a Tier 4, 74-hp (55 kW) Cummins turbocharged diesel engine providing 295 foot-pounds (400 Nm) of torque at 2,500 rpm. The engine requires DOC exhaust treatment and does not require regeneration. This new engine package is coupled with a Dana 4-speed power-shift transmission allowing full-time 4-wheel drive, 3 steering modes and machine travel speeds up to 15 mph. All lift and height capacities remain the same as the Manitou MTA Series III models, Manitou said, and the MTA Easy74 machines also have Manitou’s 1,000-hour extended oil change service intervals.